Analyze your application workloads instantly and deploy them from an on-prem infrastructure to any preferred cloud. 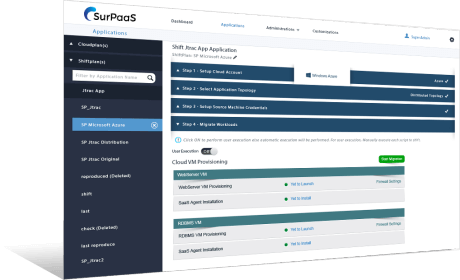 SurPaaS® Shift will provision the required Cloud resources and instantly migrate any application. 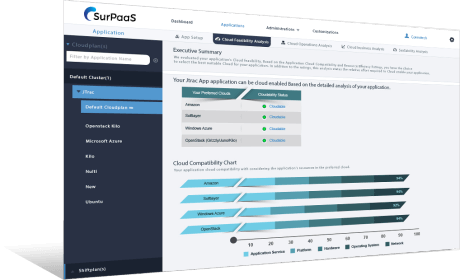 With few clicks, your application will be integrated with ready-to-run PaaS services using PaaS Shift™ when the Cloud migration is complete. 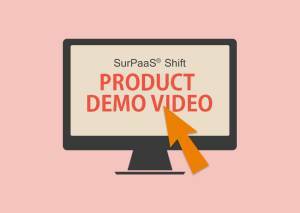 PaaS Shift™ maps your application workloads directly to the required PaaS services and migrates them to the Cloud. This migration enables you to reduce effort and cost towards operations and maintenance. 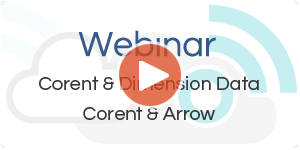 Add new dimensions by re-architecting the deployment topologies. 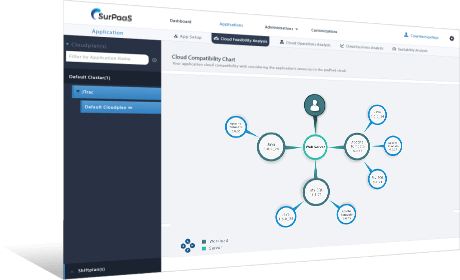 Create multiple architectures and select the best topology to suit your scalable business needs. 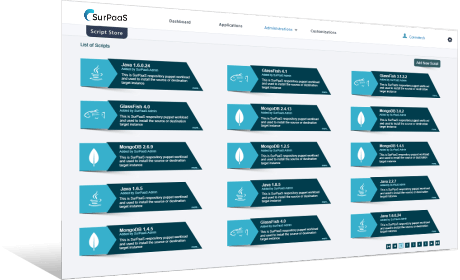 Select from a library of Shift script templates for easy migration of applications and its workloads or use custom scripts to enable controlled migration. Migrate and distribute your application and its workloads across various clouds of your choice for better optimization. 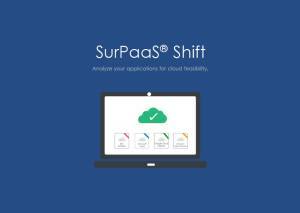 Shift also enables an easy migration from one cloud to another cloud. 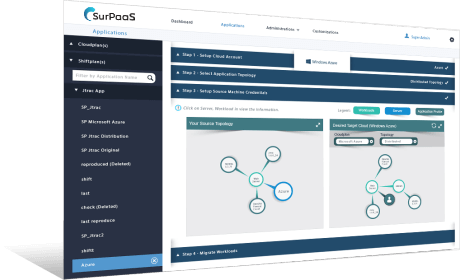 Get a perspective on how we simplified application analysis and its migration to the Cloud. © 2017 Corent Technology Inc. All rights reserved.